Below are some tips that should help you if you are having problems logging in to the IANDS website. Your IANDS account is keyed to your email address. If you don't know which email address we use for your account or if you don't have an email address, contact the IANDS office to set a login name and initial password for you. Be sure to change your password once you login. The first time you login (the blue Login button), you need to set your login name and password: click on Forgot Password? on the Login page to set a login name and password. An email will be sent to your email address with a link to set the name and password. If you don't receive the email within a few minutes, check your email spam folder. 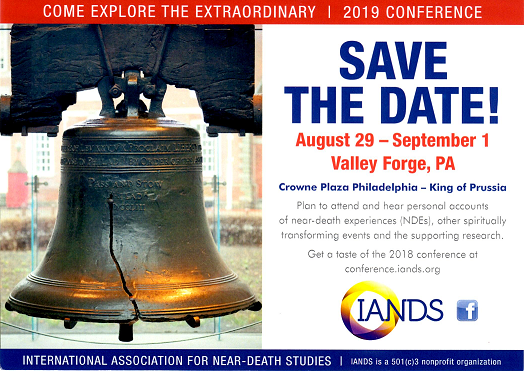 If you were an IANDS member prior to September 2017, your login name has been set to your email address. If you would like to change your login name once it has been set, please contact the IANDS office and specify what you would like your login name to be. Access your Neon Account page: If you are having problems correcting a problem accessing your Neon account or logging out from the Neon side of login session, click here. If you continue to have problems, please contact the IANDS office for assistance.